Footage has emerged of a “horrendous” challenge during a Welsh football match that saw a goalkeeper sent off. Video footage shows a goalkeeper coming out of his box to make a “potentially career-ending” challenge on the opposition’s striker. 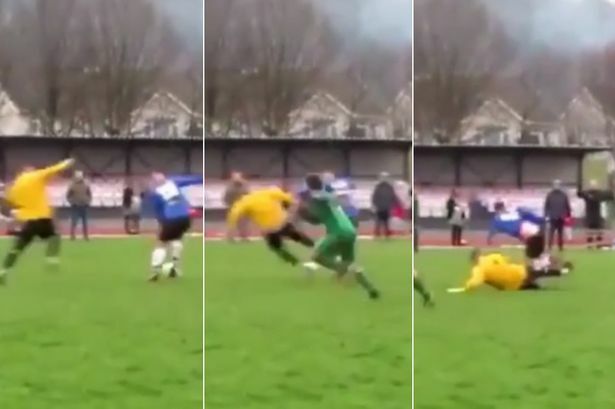 The incident happened during FC Carmarthen’s clash with West End United AFC on Saturday, when onlookers can be heard reacting in disbelief before the West End keeper receives a red card and is immediately sent off. The video has been viewed more than a million times on social media. It happened on the same weekend that a separate incident unfolded, where a football match in the same league was abandoned amid mass brawl, rugby tackles and chaos, which you can read about here . FC Carmarthen striker Josh Malinowski, 22, has spoken about his luck at coming away with minor injuries after the challenge during the game with West End. The University of Liverpool student, from Ferryside, said: “From a personal point of view I’m very disappointed at the challenge made on me, I have only recently come back to playing football as I suffered two years out with an ACL injury. “As you can imagine a challenge like this has shook me and knocked my confidence. 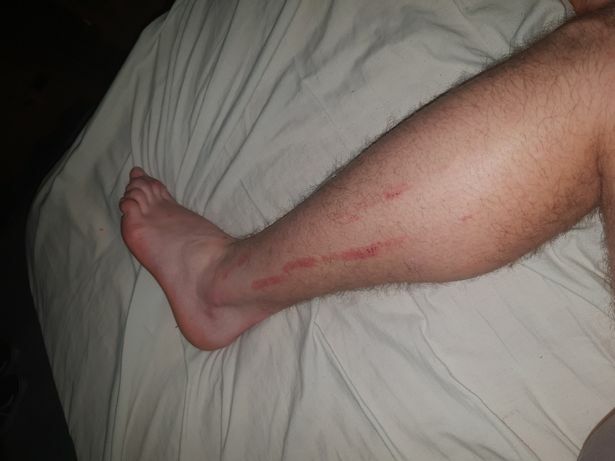 Luckily I came away from the incident with minor injuries from a challenge that could have resulted in serious injury if my leg had have been planted. The incident has been reported to the West Wales Football Association, the player added. A statement from FC Carmarthen said: “With approximately 15 minutes left of play we were leading 2-1, when our striker Josh Malinowski was through on goal and the away team goalkeeper had decided to come out of his box and foul Josh to prevent him taking an opportunity to put us 3-1 in the lead. “The goalkeeper was immediately sent off. Luckily for our club and Josh he only suffered minor lacerations, bruising and a ripped sock! The Carmarthenshire League Division 2 match eventually finished with a draw of 2-2. A spokesman for West End United AFC said: “We have taken action against the player as a club. We have zero tolerance on rash behaviour. Details of what action has been taken against the player have not been disclosed, while the spokesman added they intend to write a letter of apology to FC Carmarthen. West Wales Football Association has been contacted for a comment.